Hey friends! 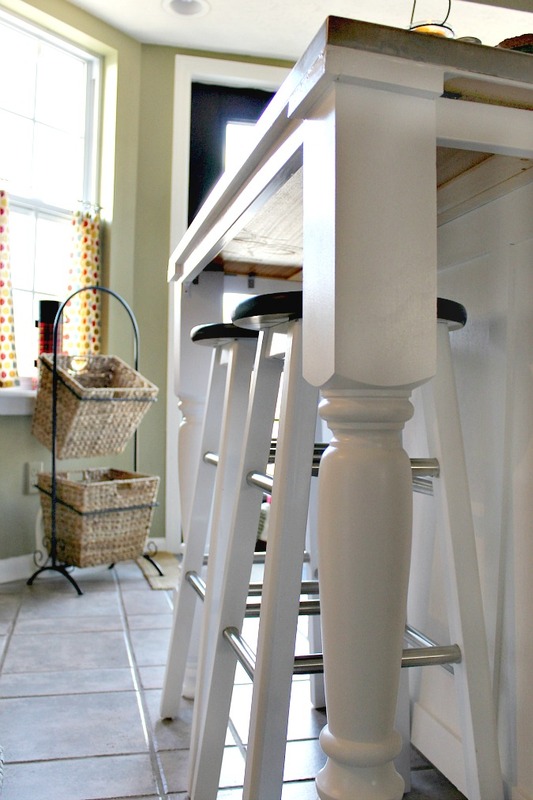 A few weeks ago, I share our kitchen island transformation, we added legs to our kitchen island. and I painted the legs using the Homeright Paint Sprayer that I had been gifted. 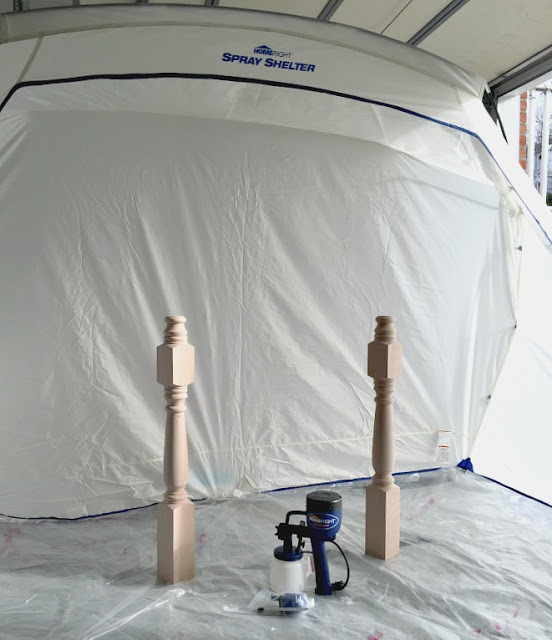 In that post I showed you the island, but I said that I would be back to share my first experience using the paint sprayer, and today is that day! I paint a lot around here, and I can’t believe I had never used a paint sprayer until recently. And now, I want to paint all of the things! 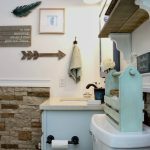 I loved it so much and it was much more simple to use than I had imagined. 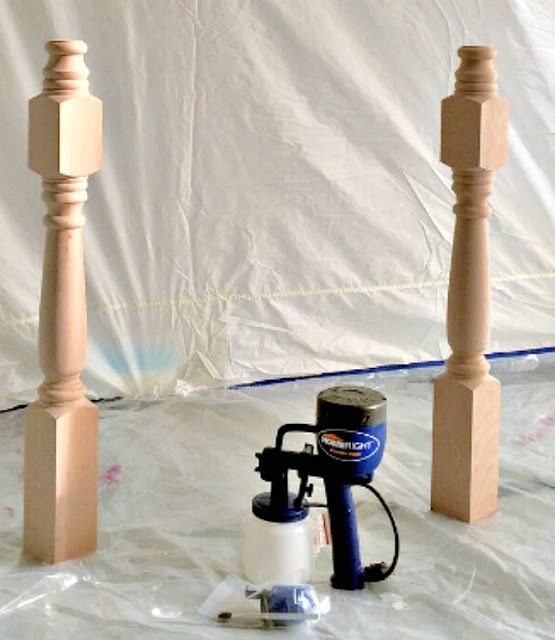 So, if you have never used a paint sprayer before, I hope by reading this post today, you will be inspired to give it a try. It gives such a beautiful finish! 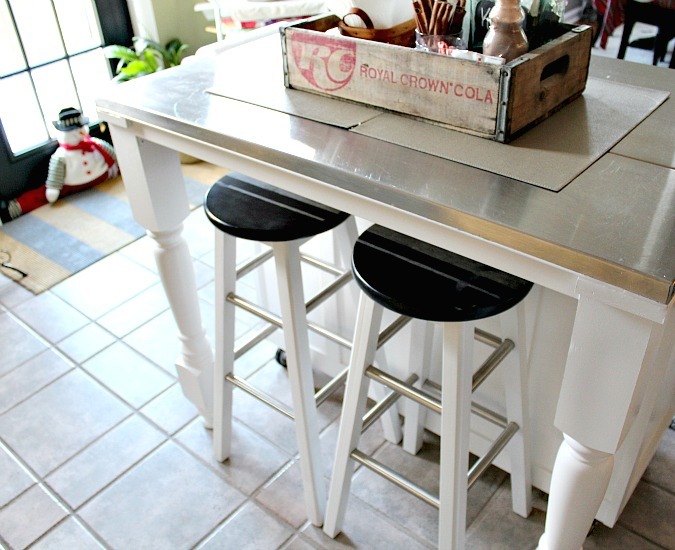 this is my finished kitchen island and my island legs that I painted with my new paint sprayer. In addition to the paint sprayer, I was also gifted this awesome HomeRight spray shelter, which I set up in one stall of my garage to paint my legs with. It was fairly easy to set up, kind of like setting up a tent. But it did require the help of my husband. I don’t know if I ever could have done it on my own. But once we had it set up, I was good to go. The paint sprayer I have is the Finish Max Pro. 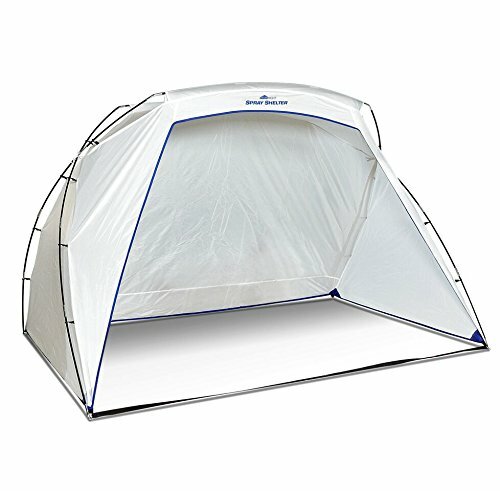 This paint shelter is great to use on a windy day, or a day when the weather isn’t quite warm enough or good enough to get outside. I used mine in the garage because it was really windy that day. 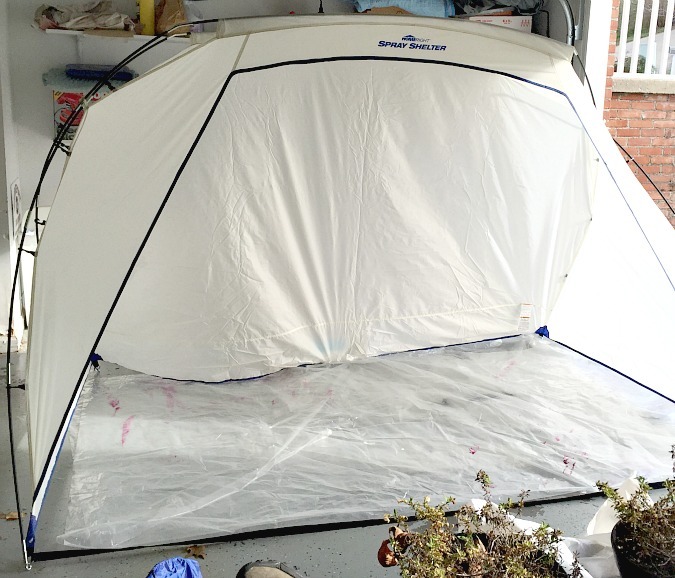 As you can see, there is no bottom in the shelter, so I did spread a drop cloth on the floor under the spray shelter. Spray as many coats as needed, wait to dry between coats- It doesn’t take long! This is the contraption you use to thin the paint out. Just pour some into a cup and thin with water until it is the proper consistency. 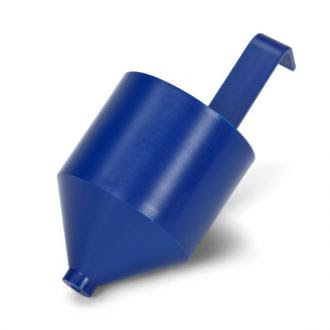 You have to time the flow of the paint coming out of this funnel until it flows in the right amount of time listed in the manual. 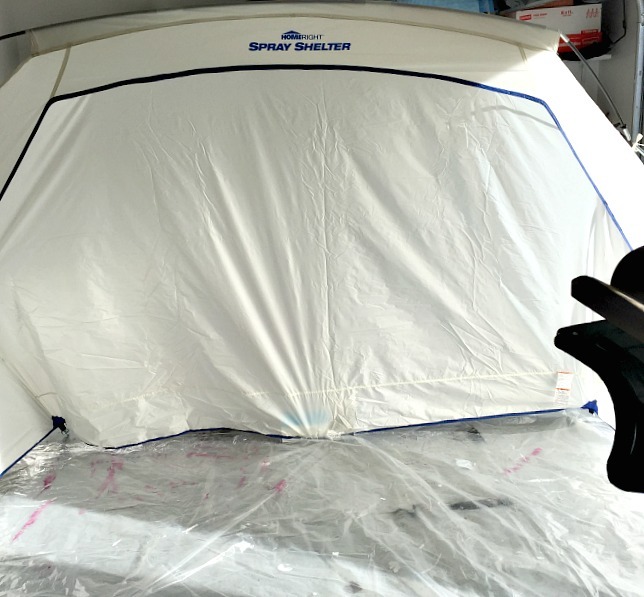 After you are finished painting, it is time to clean your paint sprayer! clean and rinse your paint sprayer with dishwashing detergent. mix a tad of it with water in the paint holder. And then run it through the paint spray until it runs clean, so simple! Then wipe down your nozzle and make sure it isn’t caked with paint. I could have never achieved the flawless finish on these island legs without my paint sprayer! I can’t wait to use it again! I have several upcoming uses for it in mind. A definite one on the horizon is to take down all of our doors and paint them black using the paint sprayer. I can’t wait to see the change it makes in our home! 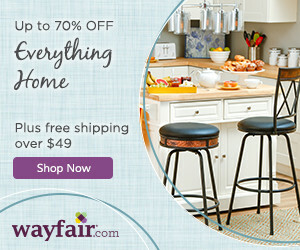 We will be adding a rustic wood top to this island at some point, so stay tuned for that! 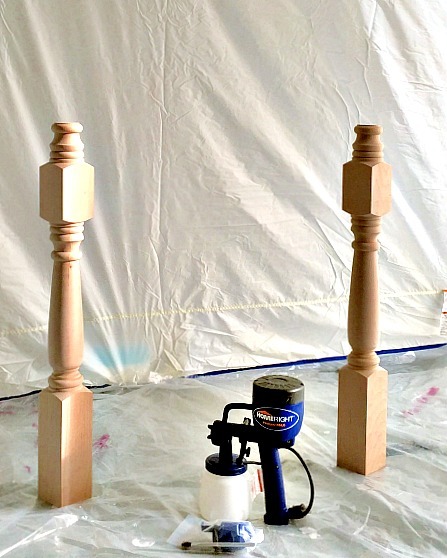 Do you use a paint sprayer, and if so what projects have you done using it? If you haven’t tried one, what would you like to use one for? I was given this HomeRight Finish Max Pro in exchange for writing a post of my choosing about it. All opinions about the product are my own, and I love it! Thanks for stopping by today, and please let me know if you have any questions, I’ll be sure to answer them in the comments! 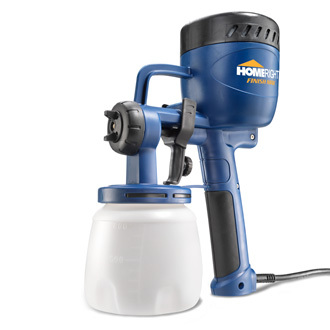 Hi Nicki, the homeright paint sprayer is one of the best sprayers out there. It’s the first sprayer I recommend to my readers when they are just getting their experience. 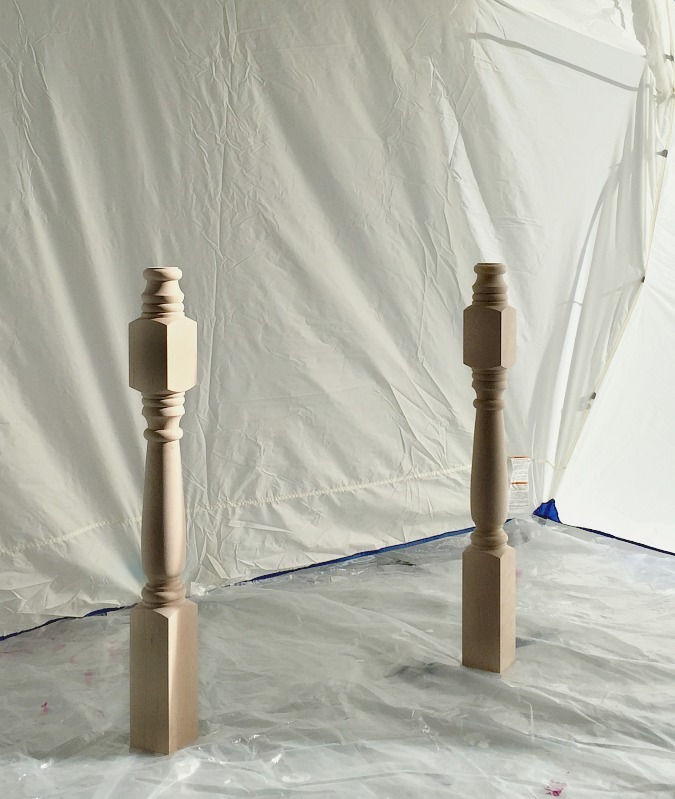 The sprayer is flexible, durable and can spray most paints. I also like that it’s easy to clean and most importantly, the company behind it have a lively customer support. Thank you for putting this guide together, I think it’ll really help new DIY home painters. I love using a paint sprayer. 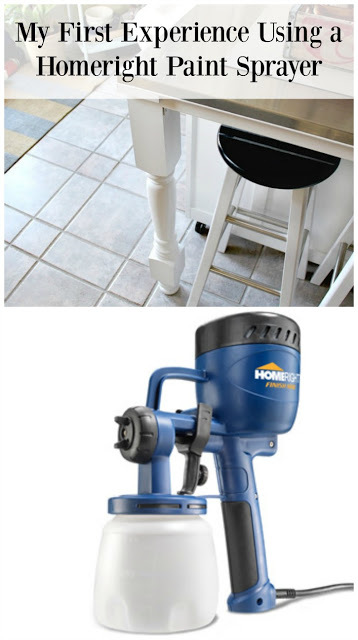 I think every home needs a paint sprayer. Thank you for sharing many good articles for paint sprayers. I did not know that it is possible to work quickly using a paint sprayer. But after reading this article, I learned about paint sprayer. Thank you for sharing the important article with us.